Recently, I aggregated a list of all the Micro-VC firms I could find. As I indicated, the number of these type of firms has exploded over the last few years (by note, ~50% of the Micro-VC market was not in existence prior to 2011). Drilling down a bit into the list, below are some illustrations that provide a more granular view on distribution by geography, fund size, and gender. Not surprising to discover that nearly 50% of Micro-VC’s are Silicon Valley based, although I was a bit surprised to see such little representation in Boston and LA (12.3% of the Micro-VC market). 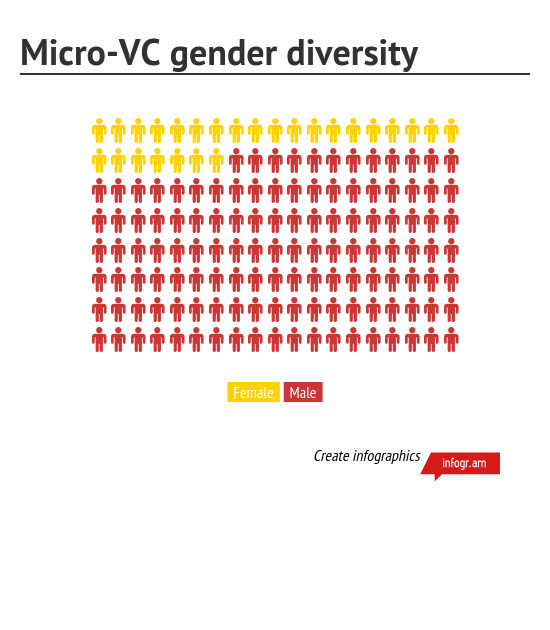 Much has been written about the gender disparity within the venture capital industry. In Micro-VC, the numbers fairly evenly mirror the broader ecosystem (something that surprised me). Of the 220 firms I found, 16% included at least one female general partner. When taking all of the partners at Micro-VC firms into account (many have 2 or more investing partners), the % of female partners within Micro-VC dropped to ~7%. That said we’ve seen some positive momentum within the segment as female led firms such Forerunner, Cowboy, Illuminate, AlignedVC, 112.VC, Array Ventures, and Allegro Ventures have all raised in the last 12 months (at the time of this writing, a couple of the aforementioned are in midst of an imminent close). 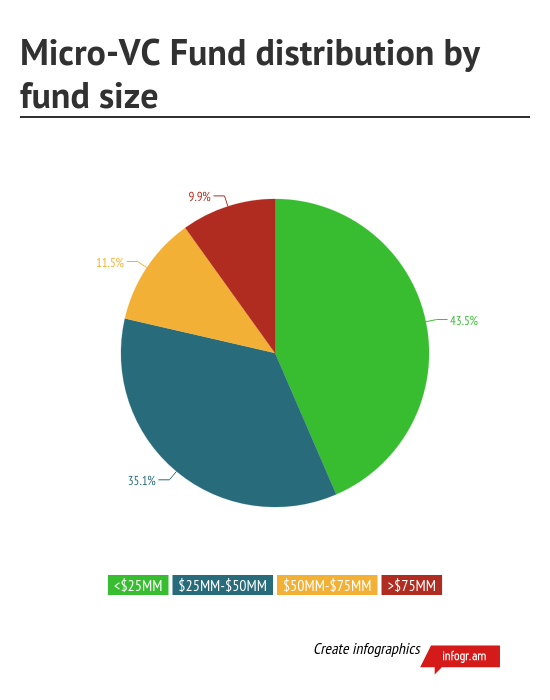 Funds $0-$25MM comprised nearly 45% of all Micro-VC funds raised (only most recent vintage was used for this calculation). 2/ Lower barriers to entry – A large majority of funds <$25MM have limited partner bases that are predominately/fully non-institutional in nature.